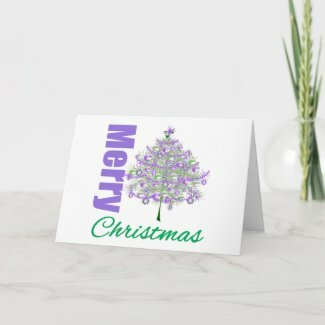 You can turn up the holiday fun and express your unique sense of style with GiftsForAwareness.com‘s line of purple-themed Merry Christmas cards with vivid purple designs featuring stunning decorated ornaments to express holiday sentiments. We also offer matching postage stamps and Christmas seals! 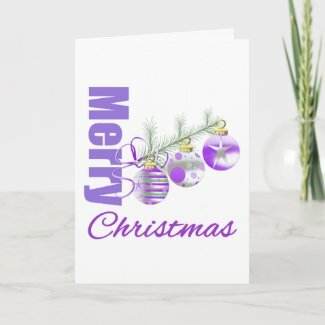 Our purple-themed holiday cards read “With best wishes for the holidays and throughout the coming year. 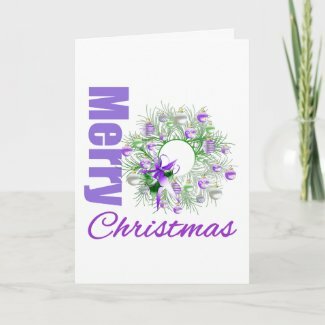 ” Any of our cards can be customized inside with your own text. GiftsForAwareness.com would like to wish our customers a wonderful holiday season and thank you for your patronage.